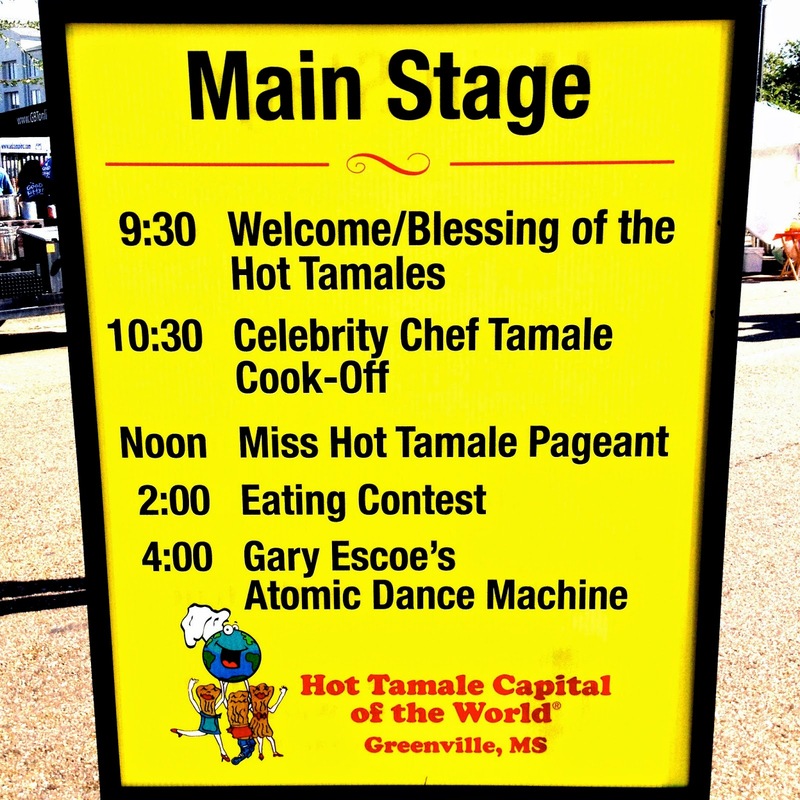 Greenville, MS is the Hot Tamale Capital of the World. Greenville, MS is a little sleepy Delta town next to the river, but in October every year, Greenville, MS is transformed into the Hot Tamale Capital of World! Activities include literacy fundraising dinner, cocktail celebration, and all day street festival. At the street festival, there are all sorts of arts and crafts vendors selling gifts and trinkets, lots of Delta Blues music, and there are the Hot Tamale competitors and their booths with their own hot tamales. 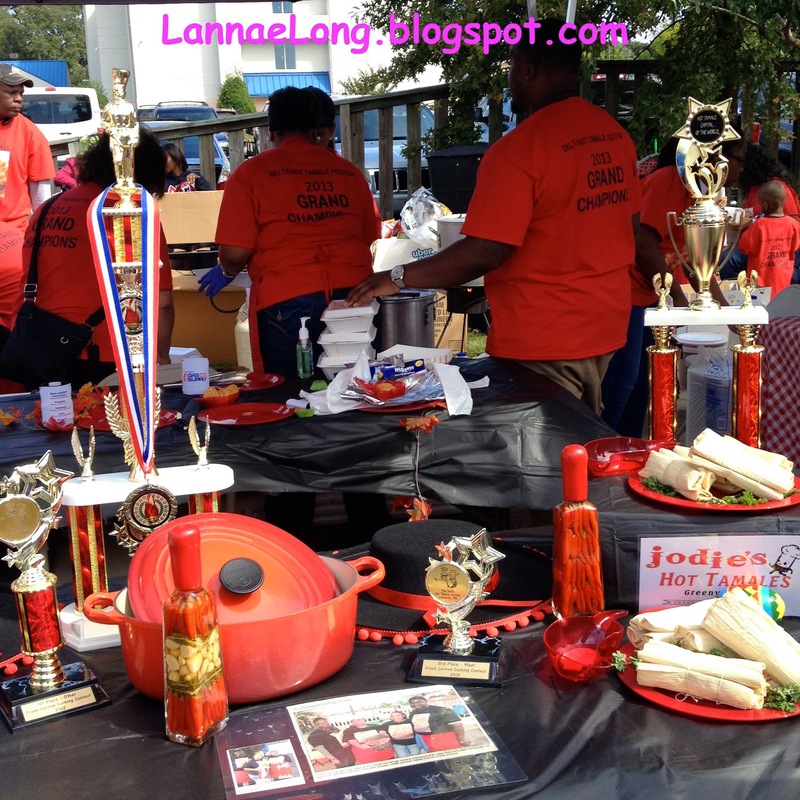 There were over 40 Hot Tamale competitors from all over the Delta, including home cooks, caterers, restaurant owners, and hot tamale enthusiasts competing for the title of Hot Tamale Grand Champion. 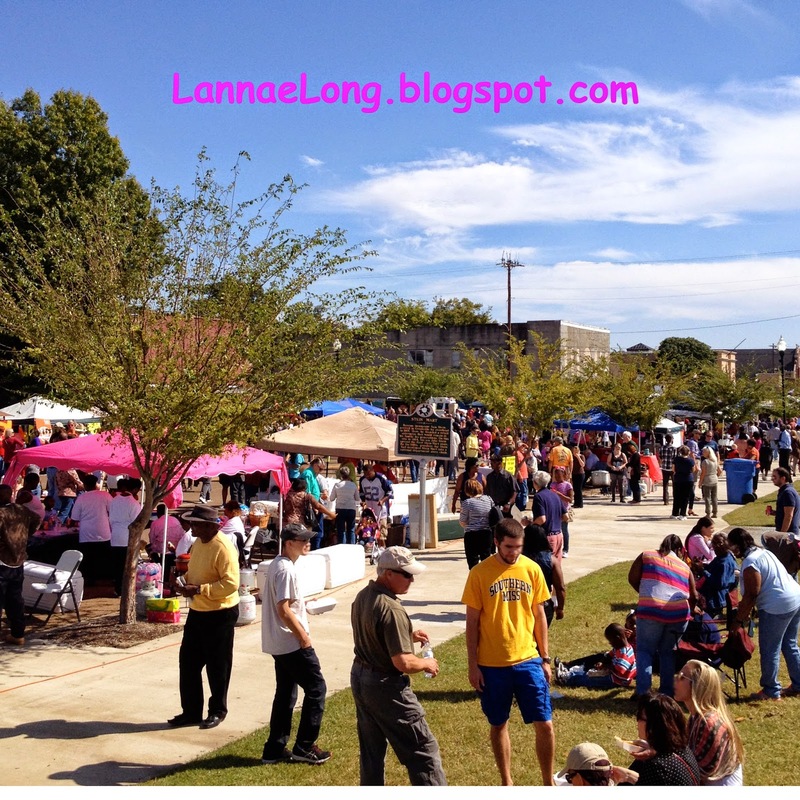 There were over 10,000 visitors coming into this little town of Greenville, MS to taste and judge for themselves, who should be Hot Tamale Grand Champion. And this year's Grand Champion, for a second year in a row: Jodie's Hot Tamales by Hattie Johnson from Greenville, MS. Jodie is Ms Hattie's lovely daughter, and this home business is named after young Jodie Johnson. Hattie's hot tamales during the year are by phone order only, and you take them home and steam them when you get home. I conducted a poll of a bunch of locals, young and old, and from all parts of Greenville, and they all say Jodie's is where they call to get their tamale fix during the year. Everyone from Greenville says Jodie's is their favorite. I took a dozen of Jodie's tamales home to try these beauties for myself. The are spice ground beef surrounded by corn meal and wrapped in a corn husk. 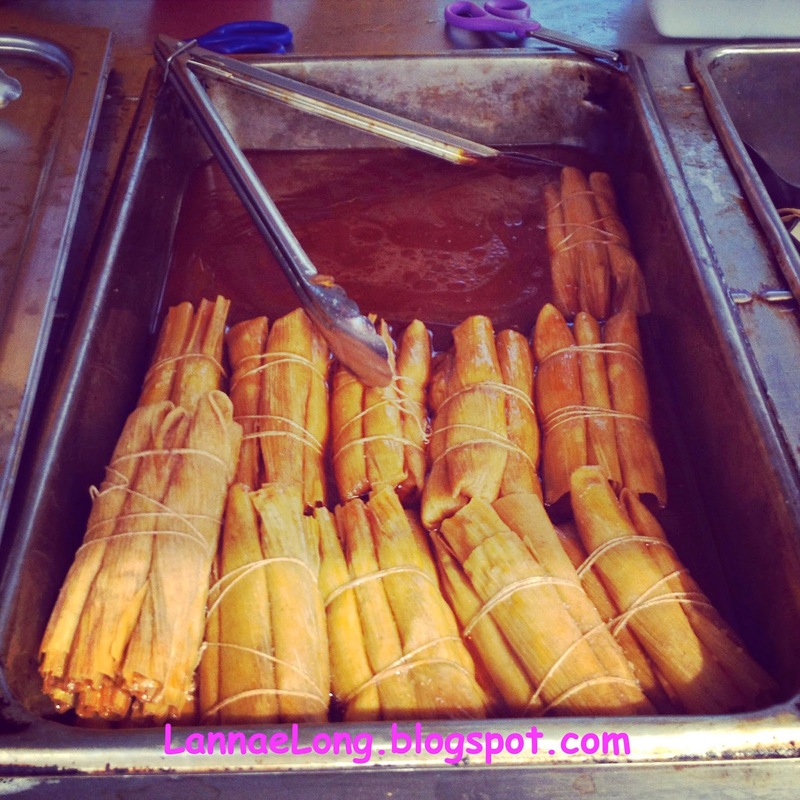 They are bundled 6 tamales to batch, and that is a perfect size for a meal. The ground beef is ground to a small diameter similar to the cornmeal. The texture is smoother than what we think of as a Central American style tamale, the texture is like polenta all the way through. 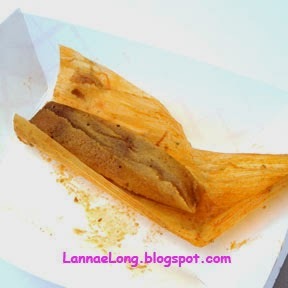 The way these tamales are constructed, it is hard to tell where the spiced meat ends and the spiced cornmeal begins. It is a cohesive dish, that combines the ingredients to make one distinct dish. The spices are more of a traditional American chili flavor, but that is the big secret spice mix Hattie makes. I am guessing there may be paprika, chili peppers, garlic powder, onion powder, salt and pepper, and probably more spicy goodness in the spice mix. When I ate steamed and ate 6 of Jodie's tamales, I kept 6 frozen for later. These little gems are so tasty, spicy, and wonderful, that I thought I made a mistake of only buying 12. My next trip to Greenville, MS, I am taking a completely empty cooler, and buying multiple dozens to take home. The history of the Southern Hot Tamale is actually unknown. 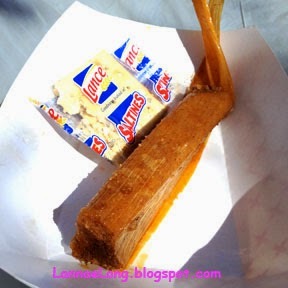 This style of tamale has been around for over 100 years in the Delta. It is thought that Mexican laborers working in the Delta brought their tamale expertise and shared it with their other laboring co-workers including African Americans, Lebanese, Italians, etc. Folks thought this was a great way to stretch their meat budget my mixing in the much cheaper and abundant cornmeal in with the meat. And with a variety of spice traditions, the Southern Hot Tamale was born. I love this Southern Hot Tamale Festival. I am already planning on attending next year, when the City of Greenville, MS announces the dates. I can't wait. I long for the delicious flavor, texture and tradition. See ya in October 2015!